Our planet is at a crossroads. The ecosystems that underpin our economy, well-being, and survival are collapsing, species are becoming extinct at an unprecedented rate, and climate change continues unabated. To mobilize change, it is important to identify the financial returns of investing in nature. In these times of change, nature-based solutions can offer a way of addressing growing challenges such as climate change (TNC, 2016), natural disasters, and food security. Nature-based solutions focus on protecting key ecosystems, and restoring ecosystems on a massive scale. Forests and other vegetation help stabilise slopes and therefore reduce the risk of landslides. Wetlands can help regulate floods. Nature-based solutions for sequestering carbon, such as avoiding forest loss, reforestation, investing in soil health and coastal ecosystem restoration, can bring us more than a third of the way to emission reductions needed by 2030 (The Nature Conservancy, 2016). Coastal vegetation and natural features, such as sand dunes, can provide protection from storm surges, strong winds, and cyclones. Healthy coral reefs have proven to reduce wave energy during coastal storms (IUCN, 2015). Following Hurricane Katrina, the US Congress approved US$ 500 million to restore and reconnect ecosystems around the Gulf Islands and in the Jean Lafitte National Park on the New Orleans coast. These types of interventions can help reduce the economic damage and loss of lives following disasters (IUCN 2015). For the International Union for Conservation of Nature, or IUCN, this is the moment for turning the sustainable development and climate goals, to which nations agreed last year, into action, and to use nature-based solutions to tackle common global challenges. It is the starting point of IUCN’s World Conservation Congress taking place in September 2016, which will bring top scientists together with world leaders and decision-makers from governments, civil society, Indigenous peoples, and the business sector to discuss the way forward. Two-thirds of the planet’s terrestrial and aquatic ecosystems are now significantly degraded due to human activity (Global Environment Outlook, 2014). Wetlands, for example, are crucial for the provision of clean, useable water; they provide biodiversity and serve as natural buffers that reduce the occurrences of floods and droughts, as well as critical breeding and nursery grounds for aquatic and terrestrial species. Yet over the last century, an estimated 64 percent of wetlands have been lost. Fishing, logging, mining, and agriculture are all pushing more and more species to the brink. Failing to account for natural capital is the quickest route to depleting the planet’s resources. And because so many businesses depend on nature, short-term stripping of the planet’s assets is accumulating a substantial backlog of risk for investors. Europe and many other parts of the world face continued threat from extreme weather caused by climate change. Recent floods in France, Germany, and the Netherlands killed several people and cost millions. In Bavaria, the damage is already over €1bn and governments, insurers, and victims are struggling to find a solution to cover the expenses. The insurance industry indicates that the growing frequency of climate-related claims would result in higher claims and, ultimately, less affordable premiums (Crisp, 2016). 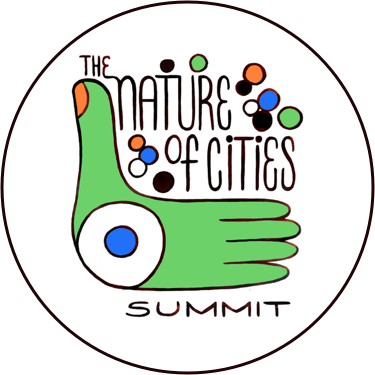 Compelling opportunities are available for restoring the natural strength of the planet for the benefit of people and cities and to counter the widespread degradation of our natural ecosystems worldwide. Speaking at the World Conference of the Society for Ecological Restoration last year, Professor Jungou Liu of the Beijing Forestry University explained that when he was assessing the status of the 50,000 rivers in China based on existing maps, he discovered that 28,000 had disappeared. Some had silted up, while others had dried out completely as a result of a growing population, increasing demand for water, urban development, and climate change. Restoring natural dams – Planting native trees and managing woodland in upland gullies encourages woody debris to build up and restores natural dams and ponds, thereby reducing runoff effects. 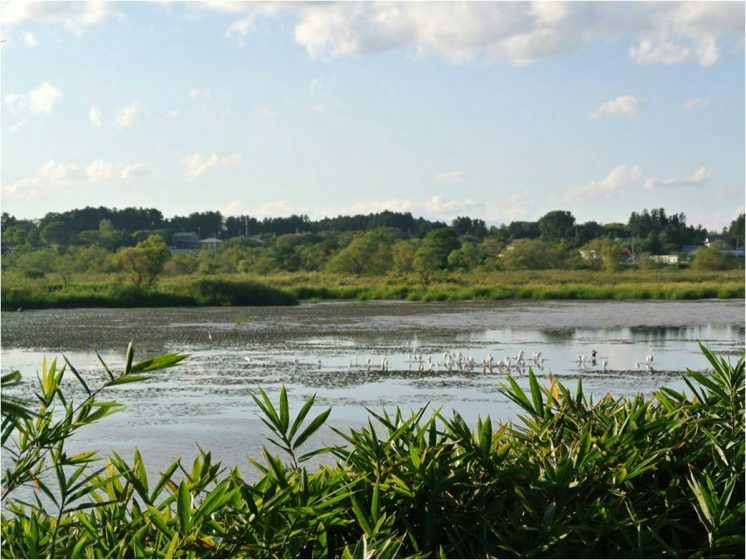 Investing in the protection and restoration of wetlands – Wetlands are natural sponges that hold immense amounts of water and play a vital role in flood management. Restoring natural river banks – Grazing along riverbanks increases erosion and coarse sediment build-up in the river, reducing the channel’s ability to cope with heavy flows during floods. Specific tree species, such as willows, create barriers, but also new habitats for wildlife. Reconnecting rivers with their floodplains – Floodplains can hold colossal volumes of water and release them slowly as the river falls back to its normal height. When water slows down on floodplains, it deposits sediment on the land. This naturally fertilises the soils and prevents a build up of sediment in the river channel, increasing its capacity to hold water. Restoring riverbank woodland – Riverbank woodland provides one of nature’s most valuable flood defences. In the fertile soil of the floodplain, native woodlands create a rich habitat full of wildlife. During storms, trees trap water, then release it slowly downstream. According to the CBD, restored landscapes and seascapes can improve resilience, including adaptive capacity of ecosystems and societies, and can contribute to climate change adaptation and generate additional benefits for people, particularly indigenous and local communities and the rural poor. While restoration activities are already underway in many parts of the world, the consolidation of policy processes and the wider application of these efforts could contribute significantly to the achievement of the objectives of the Convention. Furthermore, appropriate incentive schemes could reduce, or even reverse, degradation and deliver substantial co-benefits for biodiversity and local livelihoods. In line with CBD Target 15, The Bonn Challenge is a global initiative for forest landscape restoration, which aims to restore 150 million hectares of deforested and degraded land by 2020 and 350 million hectares by 2030. According to estimates (FLR), achieving the 350 million-hectare goal could generate US$ 170 billion per year in net benefits from watershed protection, improved crop yields, and forest products, and could sequester up to 1.7 gigatonnes of carbon dioxide equivalent annually, all while reducing the current emissions gap by 11-17 percent. As part of international action towards global climate targets, there is a growing recognition of the role of healthy ecosystems in increasing resilience and helping people adapt to climate change through the ongoing delivery of a range of ecosystem services. The discussions at the Climate Summit in Paris in December last year underscored that national governments and the private sector, as well as other key stakeholders from science and civil society, need to work together to act immediately. 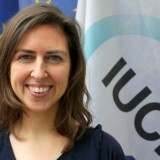 The UNFCCC has established a database on ecosystem-based approaches to adaption to capture some of the ways in which various types of ecosystem-based measures have contributed to several sectors, including livelihood sustenance and food security, sustainable water management, disaster risk reduction, and biodiversity conservation. One of the examples in the database is from the City of New Orleans, which faces a high risk of flooding, and has integrated the need for protection and restoration of wetlands around New Orleans as a feature of the City Masterplan. The intention is to restore wetlands using a combination of restoration of natural delta through building, marsh creation, and construction of water control structures to increase resilience. There is a clear need for a new financial system which recognizes nature’s enormous contribution to global economic growth and incorporates the full cost of generating wealth. This means bringing the world of nature conservation together with the financing and urban development sectors. 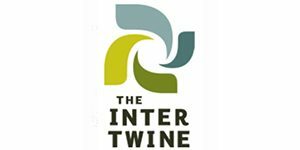 According to The Nature Conservancy, combining the climate mitigation benefits of natural climate solutions with their co-benefits can break through financing barriers by unlocking a more diverse group of investors and stakeholders who are interested in business and sustainability solutions beyond climate mitigation alone. To mobilize change, it is important to identify the financial returns of investing in nature. Several countries and cities around the world are demonstrating how this can work. A study released by the Caribbean Catastrophe Risk Insurance Facility in 2014 indicates that damage from wind, storm surges, and inland flooding amounts to between 4 and 6 percent of the national Gross Domestic Product per year in Barbados and other Caribbean countries (IUCN, 2014). Early investment in climate resilience is more cost-effective than post-disaster recovery. According to the report, Barbados could avoid more than a third of expected losses by implementing risk mitigation initiatives such as beach nourishment and reef and mangrove revivals to reduce damage from strong winds and storm surge. Every dollar invested in the Folkestone Marine Park on the west coast of Barbados, for instance, could reduce 20 dollars of hurricane loss. This is why climate adaptation is a priority for national and local decision-makers, and explains why the United Insurance Company of Barbados is giving financial incentives for homeowners to put preventive measures in place (IUCN, 2014). Other countries, such as Bangladesh, the Philippines, and Thailand, have become increasingly aware of the economic benefit of restoring lost coastal wetlands, discovering that it is much less expensive to protect existing wetlands than to replace them after they have been lost. Considering the costs associated with storm damage, the value of wetlands becomes clear; in Malaysia, for example, each kilometer of intact mangrove swamp is valued at US $300,000 for its role in flood and storm protection (De Vries, 2016). In Japan, following a major earthquake and tsunami in 2011, the government declared a plan for the expansion of its coastal forest national park in the form of Sanriku Fukko Reconstruction Park, with an estimated saving of more than JPY 2.5 billion (IUCN, 2015). Another example is Calcutta, India, where 8,000 hectares of wetlands help to treat the sewage from its 10 million citizens, reducing the need for constructing expensive treatment plants, while producing substantial amounts of fish and vegetables and multiple other benefits (De Vries, 2016). 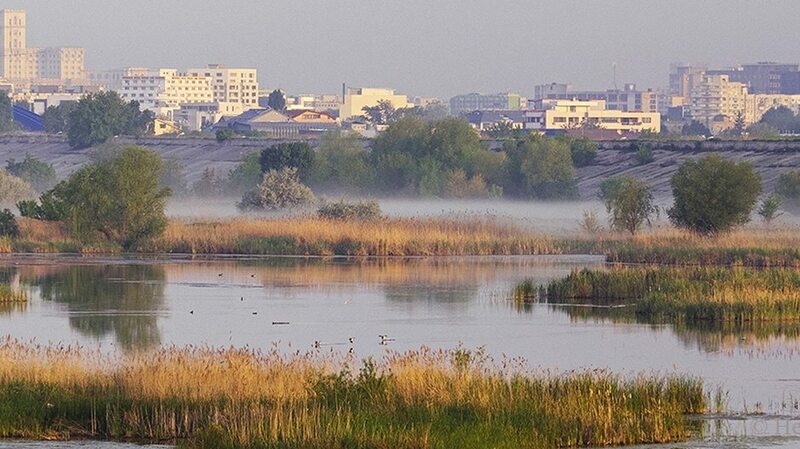 One of the world’s most innovative urban wetlands can be found in Bucharest, Romania. Văcărești is a natural area of approximately 190 hectares with miniature lakes and wetland vegetation hosting over 90 species of birds and wild animals live. It emerged as a result of unfinished works for a hydrotechnical project begun by the Communist regime in 1986, and was established thanks to the support of a strong civil society movement. In 2013, Washington D.C., which faces major difficulties related to storm water runoff, developed a new idea to increase green spaces in the city through so-called retention credits. These credits are available to homeowners, churches, businesses, and anyone else with land that could be upgraded to retain more rainwater. The credits can then be sold to developers who may need them in order to meet the retention requirements for large new building projects. These examples show that investing in restoration can bring multiple benefits that many cities around the world have not yet tapped into. How to make restoration work? 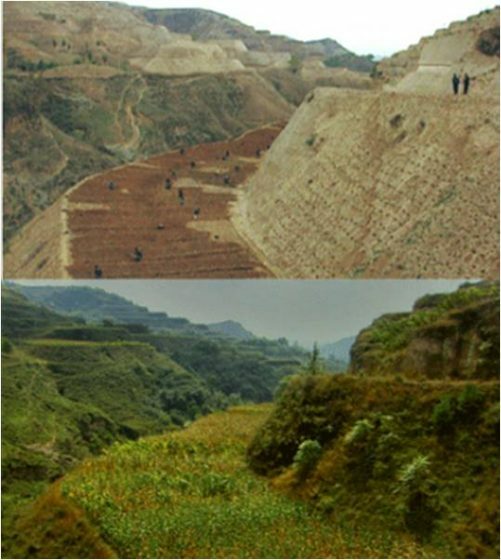 Since 1995, John D. Liu, an American filmmaker and ambassador to Commonland, has documented the rehabilitation of the Chinese Loess Plateau, a vast plain of approximately 640,000 square kilometres and the cradle of Chinese civilization. This area is approximately the size of France and stretches over seven severely degraded Chinese provinces. A range of measures of planning, policy, participation, and engineering measures, including afforestation; banning free range grazing and cutting trees; terracing; dune stabilisation; agroecology; and agroforestry have led to the transformation of degraded agricultural lands and deforested mountain slopes to lush farmland. According to Liu, ecological restoration presents the great work of our time. Through restoration efforts, we can create and continuously renew the atmosphere, hydrological cycle, and soil fertility, and naturally regulate the weather and the climate. At the same time, restoration returns habitats to their natural balance and allows natural genetic variety to reassert itself. One of the best ways to convince decision makers, politicians, business representatives, policymakers, and others that nature-based solutions such as these can work on a large scale is to demonstrate how it can be done and what it means for the community and local economy. Better information sharing amongst the urban development sector, the environmental community and climate change policy makers, and the fostering of mutually beneficial partnerships and collaborations are also key to promoting nature as a solution for a wide range of societal challenges. Furthermore, the scientific basis of nature-based solutions also needs to be strengthened to enhance the understanding of how natural infrastructure can complement engineered infrastructure and how it can be integrated into urban planning. Locally relevant information on nature-based solutions, as well as technical support on integrating nature-based solutions into land-use planning, is also essential. In order to make large-scale restoration credible and viable, we need new partnerships between governments, NGOs, conservationists, scientists, consumers, producers, urban planners, entrepreneurs and financing partners. Each partner holds a vital piece of the puzzle—the knowledge, the tools, the resources—and they need to be united. In short, I am sending you the attachment where I would like to present into Department of Soil and Environment carries out monitoring and assessment on the urban biodiversity and ecosystem. (PROGRAM) to be offered for coordinate programs from the Urban Biodiversity: Urban biodiversity is biological diversity of urban areas. • Be able to anticipate the effects / impacts of an intervention on the landscape. • To understand how attitudes and formative values reflect, and are reflected in territory and landscape. • Develop a personal ethical perspective in landscape planning, design and management informed by the topological and ecological theory and principles of the landscape. • To learn how sustainability principles affect and are affected by planning and design considerations in the territory. The name of our organization is New Era Environmental Development of Africa (NEED AFRICA) for short, it is a non governmental organization in Ghana and based in Hohoe in the Volta region. The organization was formed in 2004 and registered in 2008 as a non for profit organization according to the laws of Ghana. Our Mission statement: is addressing climate change, Agro forestry and restoration of the earth’s eco-system and arresting youth unemployment and ensuring hope to the needy through approved agro forestry projects, also sensitizing community members about the effects of human activities in the ozone layer of our dear forests. Our Vision: is to be the leading Fossil fuel advocator, Agro forestry and Eco-system preserver and campaigner in Ghana and beyond. a. Ensuring food security and creating of jobs, through education and building their capacity in tree planting, nursery of economic trees, and using modern agricultural methods there by increasing food security and developing the lives of all people. b. Advocating for forestation and reforestation activities by ensuring that trees cut are replanted, by connecting to all stakeholders. c. Organization of capacity building and training for beneficiaries, community and religious leaders and other stakeholders on Renewable Energy, Agro- forestry, tree nursery and planting also community sensitization. Some activities we carried out: We are into advocacy and sensitization of our communities of the effects of fossil fuel and re-investing and sustainability of the soil and its ecology. Eco-system, Renewable Energy, Agro- forestry, tree nursery and planting, public education, community sensitization on Renewable Energy, Agro- forestry, tree nursery and planting. We also organize capacity training for organizations, community and religious leaders on the above topics. We again interface with state institutions on the above issues to improve our forestry system and the entire eco-systems in our various communities in order to ensure food security and to also improve the living condition of our poor famers. We need now you financial support . The professions have a role to play as well; agriculture is leading with organic techniques, architecture is following with the Living Futures organization led by Denis Hayes and funded by the Bullitt foundation; morticians are also following with the green burial, and doctors have a role to play as we move toward sustainability by participating in the development of the post-post modern–or emerging–paradigm.